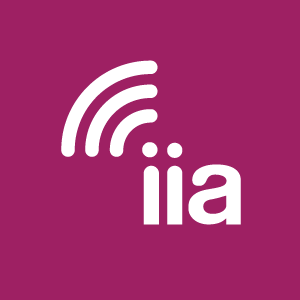 Tune in Monday, July 18 starting at 12 pm EST for IIA’s From Netscape to Snapchat: Politics in the Age of Broadband, live from the Rock and Roll Hall of Fame in Cleveland. As part of the discussion, Pew Research Center will present its latest data on campaign communications. During the 1996 re-election campaign, presidential candidates primarily reached voters through traditional media – one-way communication. Americans were limited in how they could make their voices heard: writing or faxing a letter, picking up the phone, or visiting with candidates in-person. That same year, the light-touch regulatory framework of the 1996 Telecom Act set the stage for extensive network investment and innovation that created many new channels for two-way and multi-way communication between presidential campaigns and voters, empowering Americans to shape the presidential race. • How has the way that presidential campaigns reach American voters evolved since 1996? • How are Americans interacting with presidential campaigns today using social media and the web? • Can social media have a truly significant impact on the outcome of a presidential race? • Has the political process been effectively democratized by broadband? Selected news and writings on the path forward for net neutrality from the month of December. Federal Communications Commission Chairman Ajit Pai has been busy this season doing something similar – taking an axe to unnecessary regulatory underbrush that has slowed the deployment of fast broadband around the country. Earlier this month, our Co-Chairman Bruce Mehlman made an appearance on CNBC’s Squawk Alley to talk about the growing political pressure tech companies like Facebook and Google are facing. When are 20 million comments not really 20 million comments? When they are form letters, many apparently generated from “temporary” and “disposable” domains. Tax reform may well be the most critical broadband policy question of 2017 and here’s why: Corporate tax reform is critical to the pace of economic growth, accelerating productivity and faster investment, each essential to a broadband-friendly economic environment. It’s no secret that the Title II repeal put forward by the FCC has been a rather hot topic. But as a new report from data analytics company Emprata shows, the public comment phase has been inundated with an amazing number of dubious entries. The reality is that both sides of the net neutrality debate agree on 90 percent of the same core principles of an open Internet. Originally appointed to the commission by President Obama, Pai is everything that many critics claim Trump nominees should be more of.